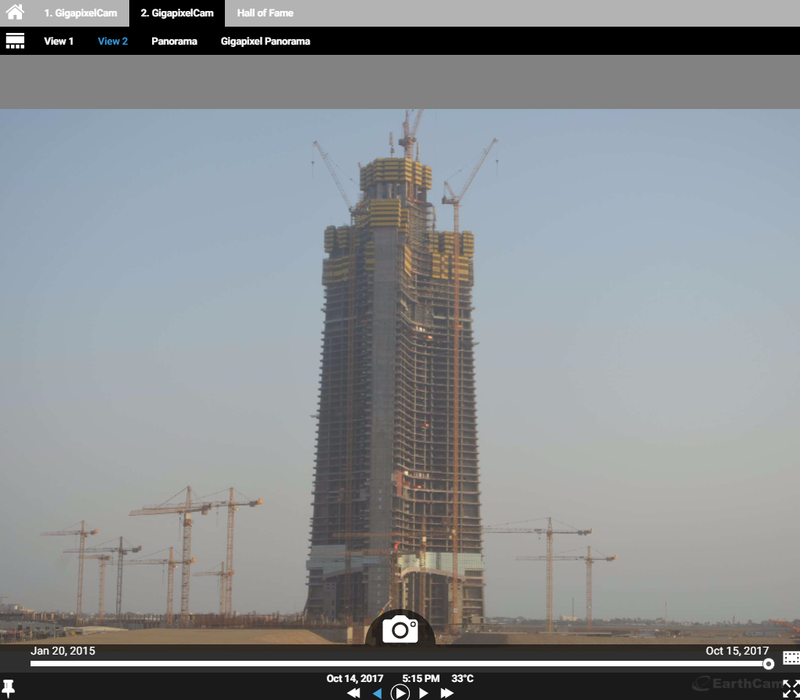 Construction on Saudi Arabia's Kingdom Tower is set to move above ground this week. It will be three times the size of the Q1 tower in Queensland, nearly twice the height of America's tallest building and soon it will look down on Dubai's desert monsters. 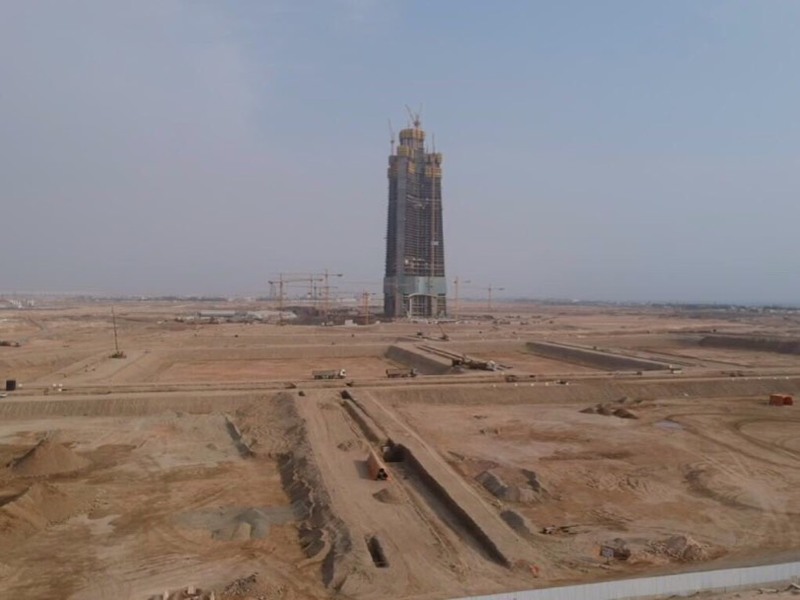 Construction on the Kingdom Tower in Jeddah, Saudi Arabia, is set to move above ground this week with the difficult foundation stage now complete. Located near the Red Sea, the megastructure will be 1000 metres tall and cost $US1.23 billion ($1.32 billion) to build. 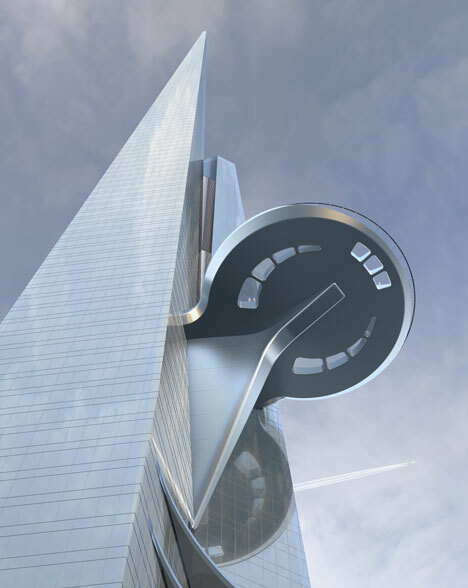 Architect Adrian Smith, who designed the building with Gordon Gill from Adrian Smith + Gordon Gill Architecture, told Fairfax Media he was "thrilled" that the Kingdom Tower was under way. "We are excited for the tower to be completed in around five years,” said the Chicago-based architect, who has made a name for himself as a designer of super-tall towers in the US, China, the United Arab Emirates and South Korea. Mr Smith designed the Burj Khalifa in Dubai, which is the tallest man-made structure in the world. He was working for Skidmore, Owings & Merrill at the time. 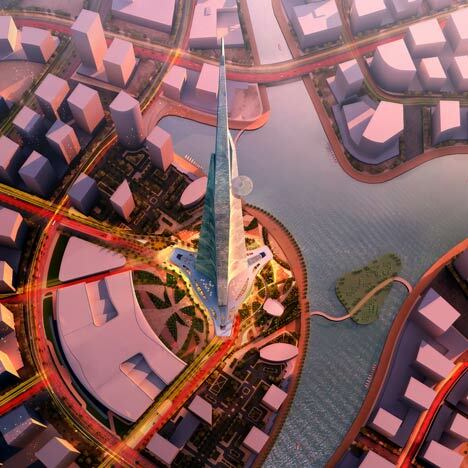 The kilometre-high Kingdom Tower will be at least 173 metres higher than Dubai's monolith. It will feature a Four Seasons hotel as well as luxury apartments, A-grade office space and the world's highest observatory. More importantly, I think he'd be ready and raring to put it in his 3D model of Melbourne's CBD! Construction shot from November 2014. Shot from the live camera. Photo taken July 16 2015. By Naki on Skyscraper City. 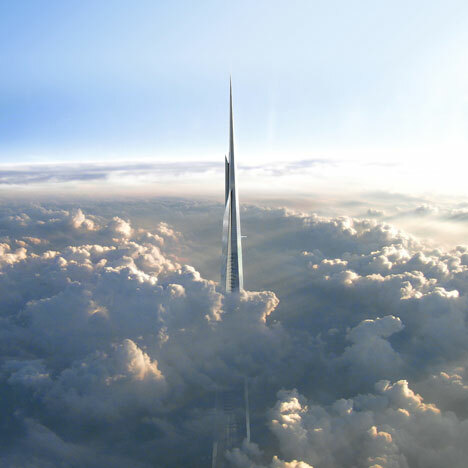 The title of world's tallest building looks set to be snatched from Dubai's Burj Khalifa by Saudi Arabia's Jeddah Tower, now that funding for the last phase of its $1.2billion ($A1.66 million) development has been secured. 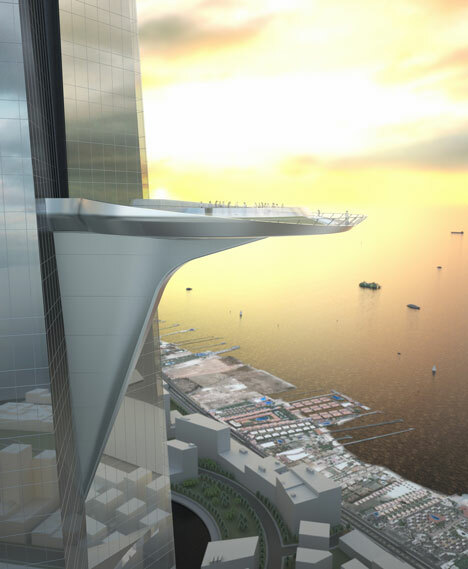 Once the final, cloud-piercing reaches of the needle are built in 2020, achieving the planned height of 3,280 ft, the tower can claim the record. The Kingdom Tower, as it is also known, will accommodate the world's highest observatory and be a mixed-use building with a gross floor area of 245,000 square metres. This will include offices, a 200-room Four Seasons Hotel, 121 serviced apartments and 360 residential apartments. 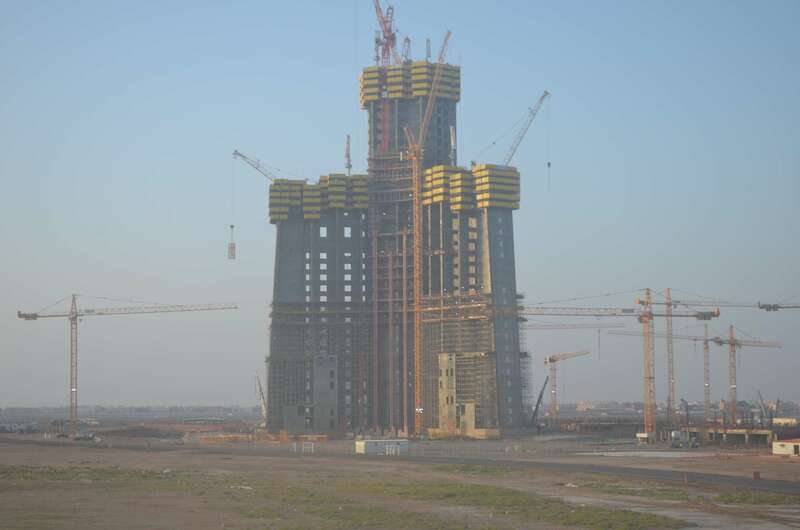 Work has already begun up to the 26th floor of the tower, located in Obhur, just north of Jeddah, on the Red Sea coast, but the finished building will have 200 floors. "With this deal, we will reach new, as yet unheard of highs in real estate development," said Mounib Hammoud, chief executive officer of Jeddah Economic Company, the owner and developer of the Jeddah Economic City project, "and will fulfil the company's objective of creating a world-class urban centre that offers an advanced lifestyle, so that Jeddah may have a new iconic landmark that attracts people from all walks of society with comprehensive services and a multitude of uses." "The overall layout of Jeddah Economic City is designed to accommodate a comprehensive, multipurpose environment, replete with aspects of a modern lifestyle over its 5.3 square kilometres, supported by world-class, state-of-the-art infrastructures." 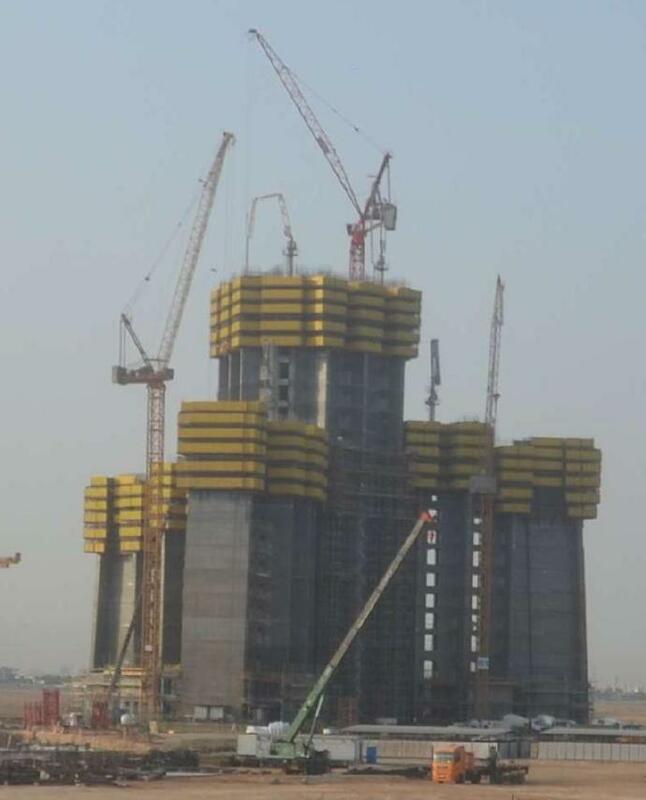 December 2015, now called Jeddah Tower. Is the Jeddah Tower a ripoff of Frank Lloyd Wright's Illinois Sky-City or was the architect Adrian Smith simply harnessing a concept? Illinois Sky-City or The Illinois, designed in the 1950s by Frank Lloyd Wright 1730m high (528 levels). Posted by K.S.A on SkyscraperCity. May 2016. Recent photo by Dave-in-Toronto at Skyscrapercity. From walrus357 on SkyscraperCity, May 2017. Photo from early this year. Project on hold while infrastructure is being built around it for a new city!